Does Siding Installation Affect the Interior of the Home? Your siding is an under-celebrated hero. Not only does it perform a critical role in your home’s exterior aesthetic, it also literally keeps the wind and rain off your back. Along with your roof and drainage system, siding is part of a home trifecta that keeps excess moisture safely outside, where it belongs. However, siding can also affect the amount of energy you consume at home, too. When it comes to energy performance, homes actually function like systems, rather than a collection of individual units or appliances. So it’s safe to say that almost anything you put on the outside of your home will affect the energy efficiency of your home’s interiors. Your home’s siding acts as a barrier to keep out cool air and to prevent moisture from entering the inner walls and inside of your home—all of which can drive up overall heating costs. Here’s how siding works to keep the interiors of your home safe and comfortable, plus a little bit on how you can detect problems with your home’s cladding early—before they get too unwieldy. As we hinted at before, your home’s siding does a lot more than just look pretty. 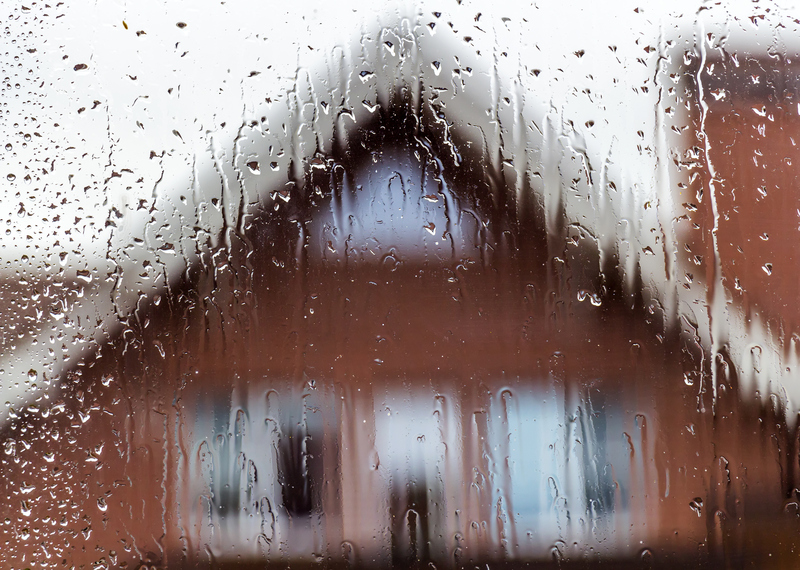 Siding deflects rain and moisture from penetrating the interior of your home. A rainstorm gone rogue can create big problems for your interiors, including mold outbreaks and damaged sheet rock, property loss, and wall collapses. Moisture can also rot the studs and frames that support your home, leading to major structural damage. These kinds of issues are exactly why it’s so important to make sure that siding is well-maintained and leak-free. Some moisture exposure will be immediately obvious, creating the kinds of visible brown spots and puffiness that are endemic to leaks. However, at other times, leaks can slip by undetected, especially if you don’t take care to inspect your siding regularly. Signs of failing siding include cracked vinyl, bending or warped cladding, or siding that pulls away from the wall of your home. From the interior, you might suspect siding failure if you see peeling paint or sagging wallpaper, or notice mysterious stains on the wall. To prevent problems with siding in the future, be sure to visually inspect siding regularly—particularly if you’ve just had a bad storm. Press your hands again the boards to see if any give. That’s generally a sign that something may be rotting within. Your home’s siding keeps your possessions dry and your home’s interiors intact, but it also plays a supporting role in your home’s energy profile, as well. Siding acts as a final barrier, insulating your home from the elements. If your siding is aging, cracked, or otherwise degraded, it can allow drafts to enter your home, meaning you’ll have to pay more—and use more energy—to maintain a comfortable temperature. Meanwhile, quality siding also shades your home and deflects solar heat gain in the summer, meaning it works year-round to prevent energy loss. If you’re thinking about replacing your siding soon, you’ll get the best energy efficiency with improved durability if you go with vinyl. However, if you live in an area prone to high winds and storms, such as in a hurricane zone or on the plains, sometimes it can be damaged by flying debris. In these cases, an insulated aluminum siding may be a better choice. 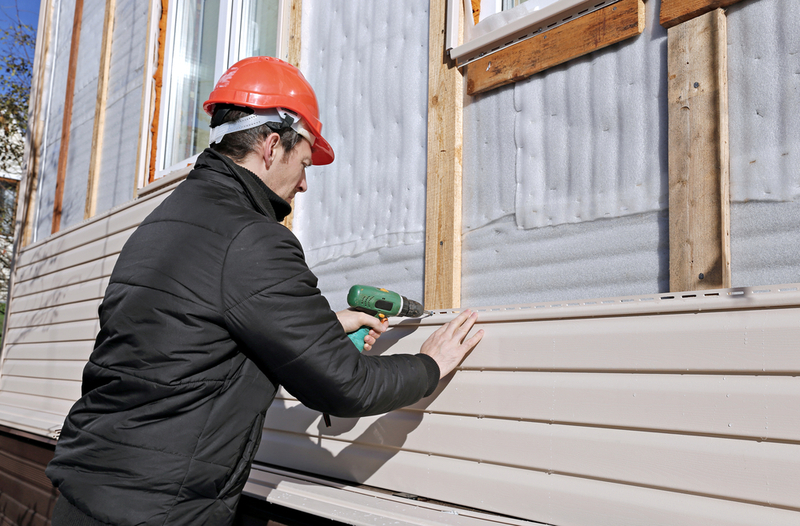 Regardless of the siding you choose, you’ll improve your interiors’ R-value and insulation if you install rigid foam insulation under the siding. This works with your home’s interior insulation to keep you toasty and warm, and it serves as a last thermal barrier against the elements. There’s no two ways about it: tearing off and installing new siding exposes your home to the elements. That means that your home’s interiors may be slightly more uncomfortable while the installers are working. If you need to remain in your home while the installation is going on, and the temperature is a big concern to you, it’s best to wait until the warmer weather to begin a siding replacement project. Most installers are aware that they’re affecting your comfort levels, so they’ll tear off and replace in sections when the weather is less than ideal. Just to make sure, however, ask your contractor about their process before you begin to get the full scoop on what you’re in for, especially if you’re doing an off-season installation. If you’re thoughtful about your siding selection and maintenance, you’ll be enjoying comfortable interiors—and utility bills!—all year long. Now that’s definitely something to cheer about!